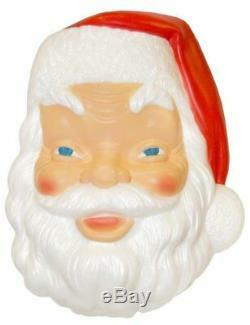 Plastic Blow Mold Santa Claus Face for CHRISTMAS Lighted Hanging Decoration. Santa Face, Blue Eyes Cherry Cheeks and Nose and Mouth Plug-in and Lights up. Attach to wall or door. More than 300 Happy Customers! We believe in giving back. We donate 10% of our profits to chairty. 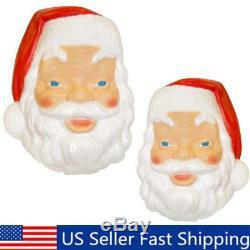 The item "Plastic Blow Mold Santa Claus Face for CHRISTMAS Lighted Hanging Decoration" is in sale since Sunday, November 4, 2018. This item is in the category "Collectibles\Holiday & Seasonal\Christmas\ Current (1991-Now)\Figures\Santa". The seller is "donowen_0" and is located in Multiple locations. This item can be shipped worldwide.